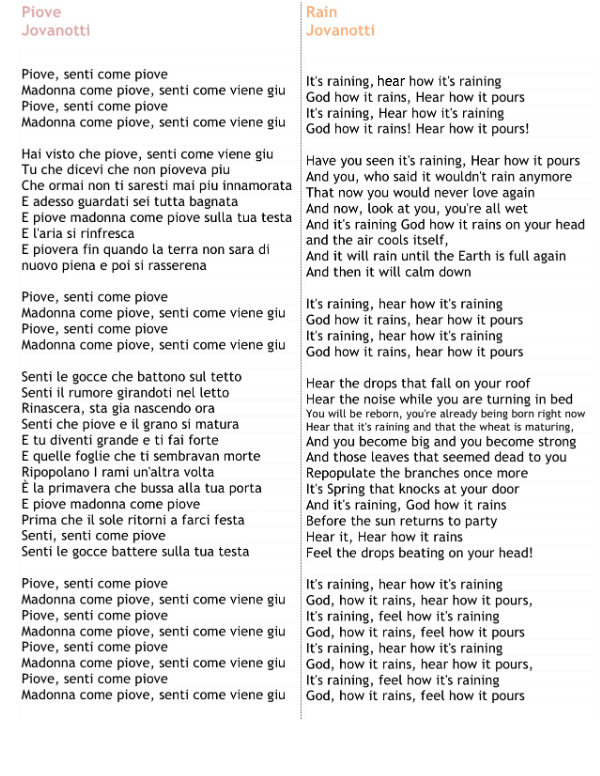 With the recent rainy weather, I have found myself humming Jovanotti's classic hit, "Piove" (piove means "rain" in Italian). 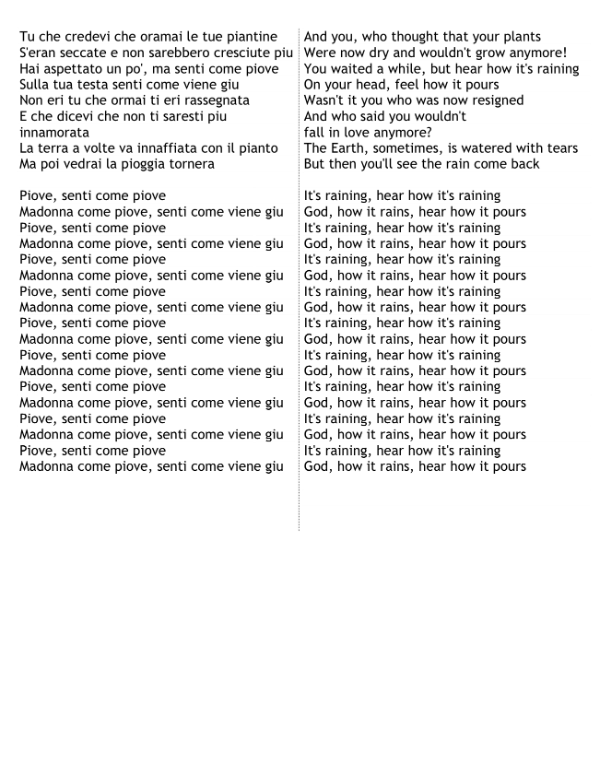 The song was released in 1994, during Jovanotti's hip-hop, rap style days. You will find that his melancholic tone in this song, perfectly matches the gloomy vibe often felt on a rainy day. This song was quite successful for Jovanotti, and was even featured on the second season of the hit television show, The Sopranos, as an ending credits track. Below you will find the original song, as well as a live performance from 2013 when Jovanotti participated in the South by Southwest (SXSW) Conference and Festivals in Austin, Texas. He includes a nice little talk before his performance about his three passions - check it out! *Note that the word "senti" (verb: sentire), can be translated either as "feel" or "hear"